Want to know why , first please view the theme (ver 9.10 available) more than 1000+ features and always Improving new features. Alterna 9 added 2 new header style for u choose, now it’s includes 7 popular header styles. Alterna 9 added new mobile menu show style more clean and easy use it on mobile. Alterna 9 added new single portfolio page style as more useful, you will love it and use it. Alterna 9 integrate WooCommerce 3.5+, it’s most popular shop plugin.Alterna also updated shop style more clean. Alterna 9 integrate Rev Slider 5.4, it’s most popular sliders plugin. Alterna also provide site demo slider examples. Alterna 8 completed based on Bootstrap 3.3, it’s most popular front-end framework for responsive, mobile projects. Alterna 8 integrate Visual Composer 4.6, it’s most popular drag & drop page builder and also support front online edit. Alterna 8 integrate WooCommerce 2.3+, it’s most popular shop plugin.Alterna also updated shop style more clean. Alterna 8 added main feature – Theme css and custom styles with LESS, it’s more clean and easy to use them. Alterna 8 added drag & drop options for header topbar elements, also update mobile show style. Alterna 8 added One Page Nav for one page support, you can easy setting and add it through shortcode. Alterna 8 added more colors options for theme custom style setting, you can easy setting it. Alterna 7 completed based on Bootstrap 3, it’s most popular front-end framework for responsive, mobile projects. Alterna 7 integrate Visual Composer 4, it’s most popular drag & drop page builder and also support front online edit. Alterna 7 integrate WooCommerce 2.1+, it’s most popular shop plugin.Alterna also updated shop style more clean. Alterna 7 had update all elements style and shortcode insert UI then don’t need add code all by options setting. Alterna Retina Ready so everything looks amazingly sharp and crisp on high resolution screens! Alterna is fully responsive and can adapt to any screen size. Alterna waterfall flux with AJAX for blog, portfolio. Alterna provide waterfall flux template for blog, portfolio. Then visitor just click like “view more” don’t need turn page will auto show more post or portfolio. Alterna now integrate WooCommerce 2.0.x. Alterna now integrate An e-commerce toolkit WooCommerce 2.0.x bring u a awesome website with shop. Alterna build with Bootstrap from Twitter. Alterna?build with Bootstrap & HTML5 & CSS3.Bootstrap – Sleek, intuitive, and powerful front-end framework for faster and easier web development..
Alterna had test throught Official(WPML.org) checked, it’s Multilingual Languages(WPML) Ready with the theme. 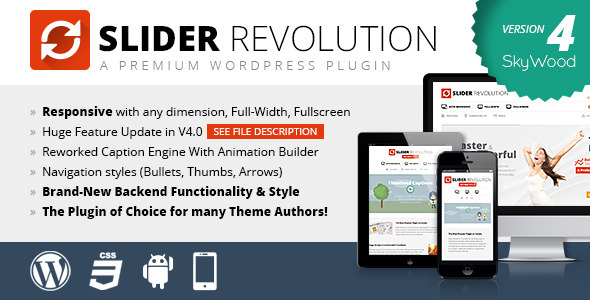 Alterna Include LayerSlider value 15$ & Revolution Slider value $15. Alterna provide fixed header menu option. Alterna provide fixed static menu for you choose, if you need just throught options panel setting. Alterna provide a awesome options setting panel for u more easy setting website options. Alterna provide import / export options support. Alterna now had provide import/export options easy copy site setting to another site. You can create unlimited sidebars for you post or page with sidebar. You can custom theme color throught change color options, more easy seeting your site colors. Alterna Includes Some Serious Font Customization Options! Alterna includes 530+ google font in theme options. You can choose for heading H1-H6, body, menu, footer headings, etc. Alterna provide left, right sidebar and full width layout. You can custom post, page with left, right sidebar or full width layout. Now, Alterna have 1000+ features and go on add more new features. We'll tell you why you should buy Alterna Theme! We truly care about our customers and our products. That is why we are improving Alterna for our users.